Working with Nolan was a real treat! We had lots of fun in Downtown Waukesha, just outside the door of the studio. Nolan’s school required that they have a yearbook photo taken in studio in a suit and tie. In the end we got a great combination of looks that fit every part of his personality! What extracurricular activities are you involved in? What about any interests? The majority of my free time is spent playing volleyball. During the school season, I play on Marquette University High School’s varsity team. In the off-season, I play club ball with a traveling national team. For the past three years, I have played for Milwaukee Sting Volleyball Club. I also participate in mock trial, volunteer at Ronald McDonald House of Children’s Hospital and hang out with friends. What kind of look were you going for in the shoot? I wanted something that really captured my style, which is somewhat casual, but pulled together. I like to be comfortable, so I wanted some pictures in jeans and Nike’s, but others in patterned shorts that represent my personality. 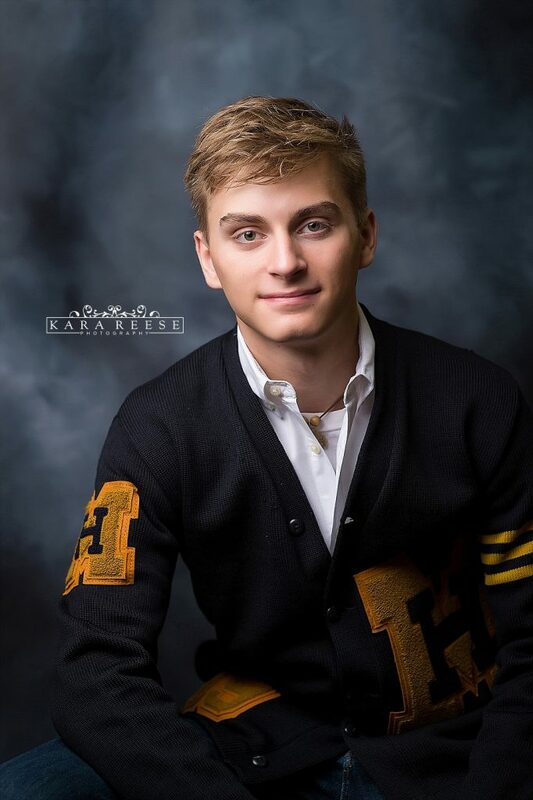 Finally, because volleyball has been such a huge part of my high school years, I wanted a picture in a vintage Letterman’s sweater that contained my major and minor from MUHS. 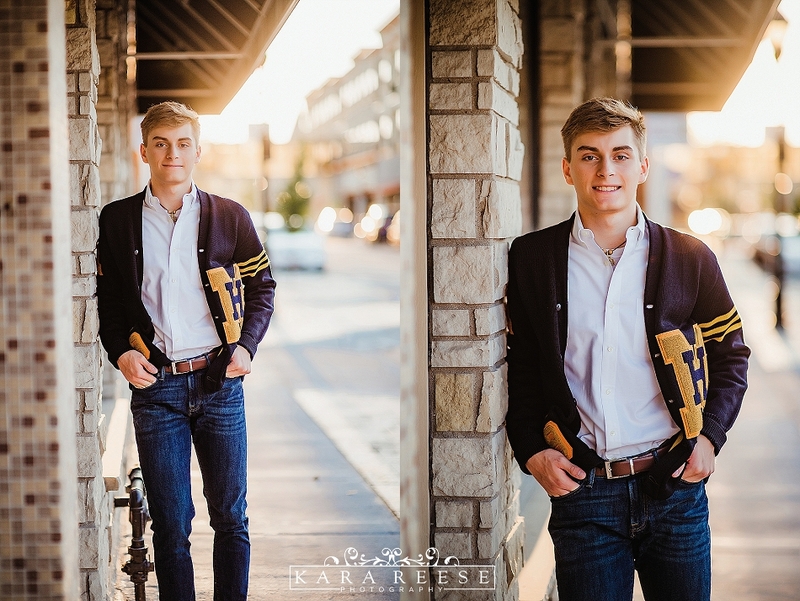 How was your overall senior photo session experience? 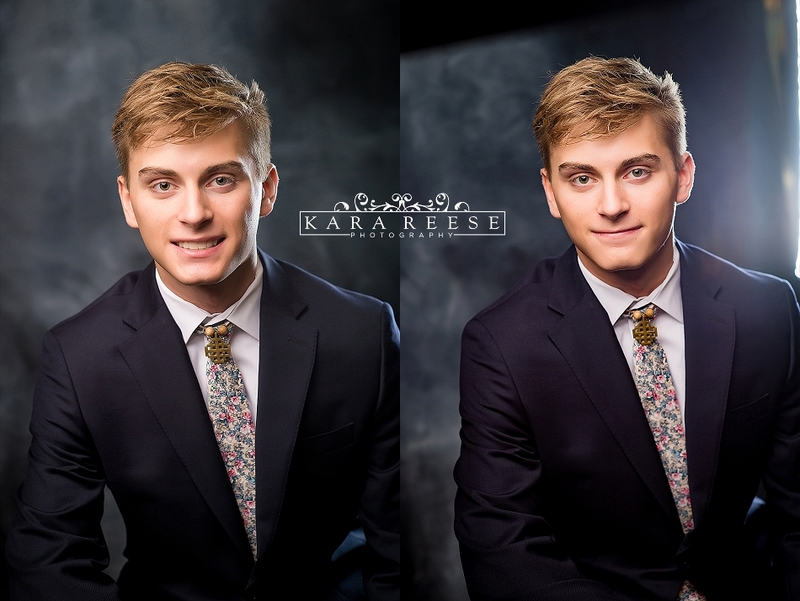 I really liked my session at Kara Reese. Kara was super laid back and made me feel really comfortable. We took my pictures in downtown Waukesha and I was amazed at how many cool spots she found to use as backdrops. 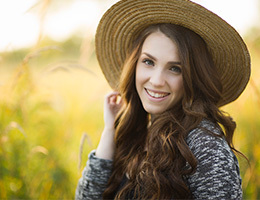 What’s one piece of advice you have for other seniors getting their picture taken? Pick your favorite thing to wear. It will make you comfortable and feel like yourself. Relax and just go with the photo shoot. You will be really happy with the end result! 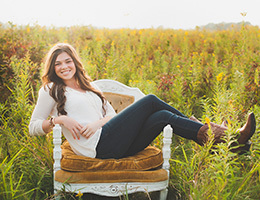 How would you advise someone else to prepare for a senior photo session? Just relax for the pictures. Kara makes you feel very comfortable. If you are in your favorite clothes, just be yourself. Where did we do your session? Did you like the location? We were in downtown Waukesha and took some pictures by buildings and others by the river. It was a great mix of scenery. I would highly recommend it!